As more companies begin to do their part to save the environment, the food service industry is taking notice. The advent of green restaurants has promised that big changes are in store and that change is beginning to happen. 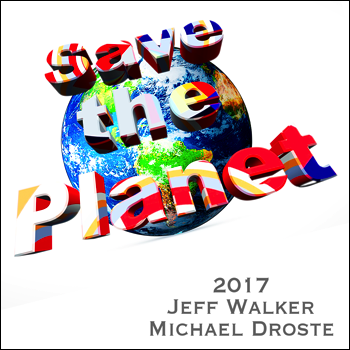 When you eat at one of these special restaurants you are doing your part to save the environment and you are making your voice heard. If you are not familiar with how the certification process for a green restaurant works, there are a number of guidelines that must be followed. First, the company must use energy efficient appliances, lighting, heating, and transportation techniques. By switching over to Energy Star appliances and utilizing proven energy conservation techniques, restaurants can actually save money while complying with these regulations. Next, a green restaurant must pass a water efficiency and conservation test. They will be encouraged to use techniques throughout the restaurant that will save water and increase the efficiency of current practices. Recycling is also required, either through composting or by hiring a recycling service. A green restaurant must also use sustainable food. This means using locally grown and organic foods. This is encouraged because traditional food growing practices present a major problem to the environment through the use of chemicals, pesticides, erosion and water waste. By purchasing their food locally, a restaurant can reduce the amount of transportation pollution. 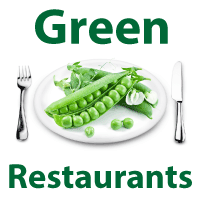 Green restaurants must also use recyclable products, chlorine-free paper and non-toxic cleaning products. By using containers that are made of post-consumer material, these businesses can greatly reduce the amount of material in landfills. Chlorine free paper products are made with non-bleached paper since the typical bleaching process is very damaging to the environment. The use of green power is also required for a green restaurant. This means utilizing solar, wind or alternative means of power for every day operations. By relying on power developed from these means, there is significant less air pollution and their energy costs will also go down. The exterior of a green restaurant is not overlooked either. The structure must be made using green construction practices that do not harm the environment. Green design is also encouraged. Lastly, these restaurants must show their commitment to change by educating their employees on green environmental practices. Signs are usually provided by the Green Restaurant Association as well as pamphlets that can be used to help the staff understand what is being done. The signs can be displayed in different areas of the restaurant and are typically used as reminders for staff that regulations must be followed in order for the restaurant to maintain their green status. It's not easy for a restaurant to earn this certification, but it proves just how committed they are to the environment and to making a difference in our world.